This week I am going to talk about a book written by a specialist in the wars of Louis XIV of France, only two of whose eight chapters deal with ancient warfare in the broadest sense. That is because the book is one of the few which does the work of demolishing one of the most influential and least accurate ideas which an ancient military historian has ever presented to the public: the Western Way of War. Yet rather than be purely destructive, it goes on to sketch a scientific approach to war and culture, and even presents a model which scholars can apply to other cases. It does all that in an affordable volume written for lay readers in the United States where belief in a western way of war is strongest. In his preface Lynn explains that his book was inspired by his discomfort with the way many scholars and laymen think about war and culture (p. xiv). Across gaps of time, space, and knowledge, we often have described past warriors in one of two flawed manners. On one hand, we generalize too broadly and posit that everyone is essentially alike- consequently, the universal soldier. On the other hand, we build a false dichotomy between ourselves and everyone else. By that last sentence, Lynn is referring to Victor Davis Hanson’s idea of a western way of war. Hanson believes that he can identify a consistent and distinctive way of war which links the early city-states of Greece and his own United States and separates them from other cultures. To Hanson, the line between this way of warfare and those of other cultures is sharp and clear. A group of historians who write for a large audience, including John Keegan and Geoffrey Parker, accepted and developed his ideas. Specialists in ancient Greece have mostly politely ignored Hanson’s comments on other cultures or warfare after Alexander and focused on his ideas about early Greece which are better supported. Specialists in the nineteenth and twentieth centuries have often seen some merit and deferred to Hanson on ancient warfare in general. People interested in other parts of the world or in periods in between have often noticed the problems, but rarely spelled them out in detail in books written for a large audience. Lynn’s book is divided into eight chapters, a prologue, and an epilogue. Each chapter begins with a vignette from a battle and develops a case study of the relationship between war and culture at a particular time and place. Lynn made a point to read sources in translation as well as overviews by specialists, and to discuss each chapter with scholars who knew more about its topic than he did. As far as I can tell this approach paid off. In the cases about which I know a little, he seems to raise the main points which specialists do. He also manages the delicate task of keeping his narrative flowing without hiding where some points are more certain than others. Lynn’s choice of authorities and antagonists feels slightly Amerocentric, as when he leans on Clifford Rogers and Kelly DeVries to understand the Hundred Years’ war, or painstakingly debates whether racism caused the US military to use excessive violence in the Pacific War. What distanced me from the book may help Lynn reach his audience of people in the United States today who do not purposefully seek out perspectives from different places, times, and social positions. In chapter 1 Lynn considers warfare in Classical and Archaic Greece. His overview follows the general lines defined by Hanson and his fellow travellers and is unlikely to contain any surprises for readers of this blog. He then moves on to consider whether the thesis of a Western Way of War. As he delicately puts it (p. 13), “this theory concerning the enduring influence of Greek warfare is full of gaps where it clams to see an unbroken record.” Hanson’s beloved armies of citizen-soldiers who owned moderate amounts of property and spoke freely are hard to find in Europe from Augustus’ day onwards. Armies dominated by infantry who could take and hold ground are also hard to find in the second half of the middle ages. Medieval Europeans were much more inspired by Roman models than Greek ones, and their favorite source of Roman military wisdom, the de Re Militari of Vegetius, proscribed a very different style of warfare than that which Hanson sees in Archaic Greece. The revival of interest in Greek in the fifteenth and sixteenth centuries lead not to the recreation of citizen armies but of phalanxes recruited from the poor and desperate in the service of kings and great lords. Nor was warfare in Europe dominated by decisive battles from the middle of the Roman imperial period onwards. Battles only returned to fashion in the Napoleonic Wars. 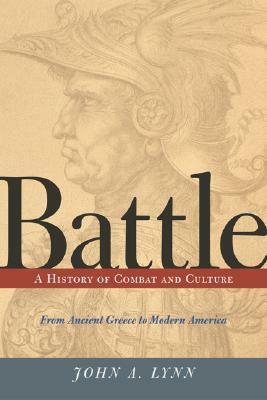 Arguments that a specific aspect of Classical Greek warfare was unique to Europe often reflect ignorance of other cultures rather than serious comparative research. As for a single “Oriental Way of War,” a close look at specific examples will reveal that armies outside of Europe were very diverse. While Hanson writes prose poetry on the success of European armies against their foreign opponents, the historical record from say the fifth to the fifteenth centuries CE contains many successful invasions of Europe and many failed European ventures overseas. While most of these criticisms can be found on university campuses, on forums, and in footnotes, Lynn states them clearly in a book aimed at a wide audience. A fairer comparison for Chinese and Indian classics would be the Roman literature on war. Rome’s more mature form of legionary warfare was not conventional in the Greek sense, and the proscriptive literature generated during the empire, epitomized by Vegetius, counsels methods of warfare much more akin to the subtlety of Chinese texts than to the headlong charge of the phalanx … Western military thought and practice were often closer to Asian conceptions and methods than to those of classical Greece. Although the advantages of studying warfare in multiple cultures before looking for trends and patterns might seem obvious, it is hard to find an advocate of the Western Way of War who has done so. Lynn could have taken this criticism further. One problem with Western Way of War theory is that just what counts as “the west” is never defined. The Greek-speaking Romans somehow fall out of most conceptions of “the west” in the early middle ages, while Russia drifts in and out depending on the date and the author’s purpose. It is hard to understand why the Cambridge Illustrated History of Warfare counts Russia in 1650 (!) as part of “the west” when boasting about the amount of the world controlled by “western” powers, but excludes it after the Red victory in the Russian civil war. Communism is a product of nineteenth-century and Edwardian Europe, and spread other European ideas such as progress, natural science, and secularism, so it is hard to understand how adopting communism caused a society to break away from European culture. The sort of fleeting political circumstances which make Britain and France deathly rivals one year and desperate allies a decade later are no basis for dividing up the world into lasting cultural spheres. Developing this line of criticism might have been a step too far for readers who were already shocked to hear that a distinctive Western Way of War does not exist. Similarly, Lynn could have applied his own model to explain why a discourse about conquering the world through freedom, capitalism, agrarian populism, and superior technology emerged in the late 1980s and found many supporters in the US and UK. But this sort of detached, anthropological approach might have turned away many of those who most need to read his book. Lynn’s alternative to the western way of war is a model of “the discourse and the reality of war.” Lynn observes that warlike cultures normally have a way of thinking and talking about war which is in constant tension with practice. This tension can have various results, from gradual change in the discourse or practice, to creating a special kind of warfare which better matches the ideal, to rejecting normal restraints on violence against opponents who refuse to participate in the discourse. This dialectic is a constant while the details of ideology and action are fleeting. Literary or religious traditions can shape the discourse but do not determine its form. Many ancient historians have criticized Hanson for reading statements about how wars were fought in the good old days as facts about the distant past rather than statements of how some writers wished to remember it. Yet I cannot recall any who have proposed a general way of thinking about the relationship between military ideal and military practice. In the six remaining chapters Lynn discusses France and its neighbours in the later middle ages, France and its neighbours in the eighteenth century, warfare in India from the decay of the Mughal empire to the British conquest of the entire continent, Napoleonic warfare and Romantic thinkers’ response to it, American and Japanese conduct in the Pacific War, and the Egyptian-Israeli war of 1973. In each of these Lynn tried to read books by specialists, attend conferences, and explore some of the primary sources. These chapters are sort of a primer into the results of research into recent military history, whether the postcolonial push to explain why armies of Indians trained by European experts fighting for the British East India Company were able to defeat larger forces of Indians armed and trained the same way in the service of Indian princes, or the touchy question of why the Egyptian army and air force have often performed poorly since 1948. Readers who rarely read the military history of later periods might use these chapters as an introduction to what sorts of questions military historians of recent periods work on. Scattered here and there are reminders that Hanson’s ideas about the advantages of “western” armies fail to describe many specific cases: for example, that eighteenth-century European armies often stood up to ferocious firepower, but rarely fought pitched battles (p. 129). The notion that citizens must assume responsibility for the violent policies of their country is hardly dated. To make informed decisions about such serious matters requires that we understand threats and challenges for what they are. Proper actions begin with proper ideas; the discourse becomes parent to action. While I do not dream of guiding public policy with my research as Lynn and Hanson do, I will see what I can do with Lynn’s model of the discourse and reality of war. Further Reading: Victor Davis Hanson, The Western Way of War: Infantry Battle in Classical Greece Second Edition (University of California Press: Berkeley and LA, 2000), John Keegan, A History of Warfare (Vintage Books Canada: Toronto, 1994), John Lendon, Soldiers and Ghosts: A History of Battle in Classical Antiquity, Geoffrey Parker ed., The Cambridge Illustrated History of Warfare: The Triumph of the West (Cambridge: Cambridge University Press, 1995). I discuss the impact of Western Way of War theory on Achaemenid studies in a forthcoming article in the proceedings of the 2014 Melammu workshop by Ugarit-Verlag. As always, citation does not imply that a book is trustworthy. Looks like very interesting book, especially part for China and India, Achilles heal of western scholars and general audience. It seems to be selling fairly well, to judge by entries in Worldcat and its sales rank on Amazon. And hopefully some of the readers will track down some of the books on India and China which he cites, since they are all in English or French. I wish that I had time! Thanks for posting this. One for the reading list. You’re welcome, its funny how books from people who don’t identify as ancient historians can escape the notice of people most interested in the ancient world. Just stumbled across this entry. I took several classes with professor Lynn at UIUC in the 90s and he was kind enough to chat with me on the phone a decade later about this book and his views on Hanson’s thesis. I don’t know if you know Dr. Lynn, but safe to say you summarized his thoughts more than ably. I like reading Hanson but he should probably stick to ancient Greece. Thanks for the comment! VDH’s work is an odd mix, and historians and classicists seem to treat it much more kindly than they would treat similar work by someone without a PhD and a professorship at a famous American university. He certainly does not try to hide that he sees the Greeks after Homer and before Alexander as American pioneers in chitons, or publish the careful studies of Archaic Greek farming in one place and the sweeping theories about the orient in another.